Powered by a turbocharged direct injection 2.0-litre petrol engine, the dynamic NX 300 gives an immense boost to your crossover enjoyment, offering rapid acceleration, confident motorway performance and Lexus refinement. Short-stroke paddle shift controls on the steering column allow you to make quick shifts without removing your hands from the steering wheel. Powered by a turbocharged direct injection 2.0-litre petrol engine, the dynamic NX 300 gives an immense boost to your crossover enjoyment, offering rapid acceleration, confident motorway performance and Lexus refinement. Staying true to our ‘Kaizen’ ethos of continuous improvement, the NX cockpit is more refined than ever before. Immediately noticeable is the larger 10.3-inch Lexus Premium Navigation display, while ultra precise leather stitching and finely machined switchgear enhance your tactile experience. Developed by our Takumi ‘Master Drivers’, the suspension has been re-engineered and Adaptive Variable Suspension now offers an incredible range of up to 650 adjustments. 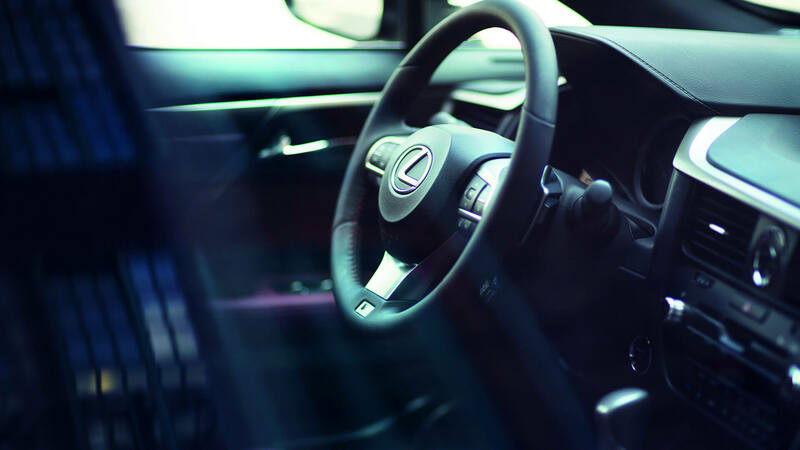 The Lexus Safety System + will support your natural driver skills, helping you stay in lane, assisting you in heavy traffic, watching for hazardous situations with other road users, and even taking action should it be needed. For a more dynamic experience, you can choose the new NX F SPORT that features an exclusive mesh grille with jet-black plating, more responsive suspension, F SPORT interior and distinctive new wheels. Simply select an engine type to start exploring prices, offers and detailed specifications. Powered by our 2.0-litre turbo-charged petrol engine, the NX 300 FWD delivers 238 DIN hp and features a highly responsive 6-speed automatic transmission. Восхитительно мощный NX 300 AWD с бензиновым двигателем с рабочим объемом 1998 куб. см с турбонаддувом мощностью 238 л. с. с системой полного привода и шестиступенчатой гидромеханической автоматической трансмиссией.